Well today, after nearly twenty years, I no longer work for Hewlett-Packard. But before you think that I’ve left for a new position (or been fired! ), the truth is more reassuring and simple. As of this morning, I officially work for Hewlett Packard Enterprise, one of two Fortune 50 companies that has been created by the splitting of the old HP into two distinct and separate siblings: HP Inc and Hewlett Packard Enterprise. First of all, I just want to emphasise that I work for Hewlett Packard Enterprise. Already this morning I have seen a variety of reports referring to something called “HP Enterprise”. HP Enterprise doesn’t exist. 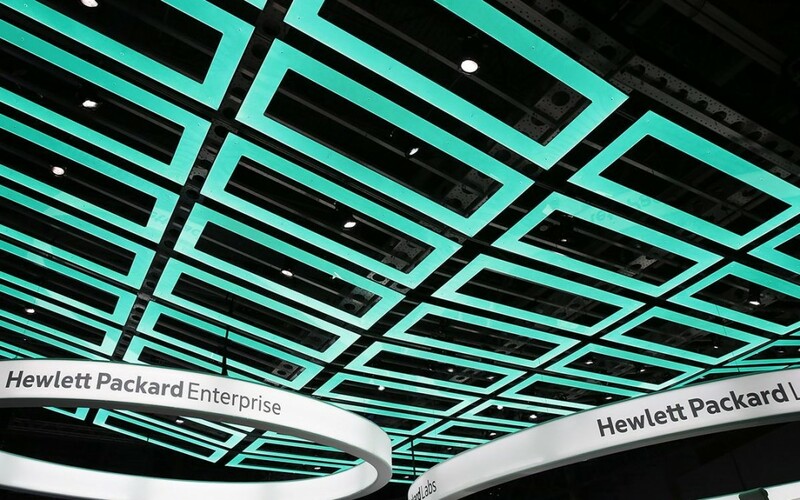 The new organisation is called Hewlett Packard Enterprise or HPE for short. It’s basically a bringing together of HP’s business units covering servers, storage, networking, converged systems, services and software. HP Inc will focus purely on personal systems and printing, including the emerging 3D printing space. Although the HP split is breaking news this morning, for those of us inside the company, it’s the culmination of a year long journey and one, frankly that I am glad is over. But that’s not because the separation has been tiresome or a brake on activities. Quite the opposite. People often say (witness the reaction to the Dell/EMC merger announcement) that these corporate, tectonic shifts are a huge distraction but I’ve found the process of separation far less disruptive than, for example, when HP merged with Compaq in 2001. Breaking up is supposedly hard to do, but the professionalism of my colleagues (both the old and the new) in just getting on with the task whilst still keeping the existing business moving forward, has been outstanding. In my organisation, no balls have been dropped, no cracks have been fallen into, no elephants left lurking sullenly in the corner of the room. No, I’m glad it’s over because it feels like we’ve been holding our breath for weeks and weeks, like astronauts waiting for a mission day to arrive or a theatre company waiting for the opening curtain. Today, finally, we can just ‘be’ Hewlett Packard Enterprise and put our heart and souls into the new company and give that unfamiliar logo that people are seeing meaning and substance. Ah yes, the logo. I wondered when you’d ask me about that. Veteran or not, I do find myself extremely excited and motivated to be part of Hewlett Packard Enterprise today. It’s like nothing has changed and yet everything has. I do believe that HPE will soon start to feel like a very different company, not just for those people who work here, but for customers and partners also. As a marketeer, I have tried to reassure people who found the new logo too unfamiliar that it is replacing one of the most successful and recognisable symbols on the planet! There is almost nothing that could have been imagined by the branding agency that would not have seemed strange. Personally, I feel the logo has potential. Yes, it’s different, but, as I hope I have explained, this is a different company, one that is about transformation and moving forward. I think our new identity serves that purpose very well. This is a new dawn. In a way, I feel we are better placed than our old colleagues in HP Inc. They have a great heritage upon which to build, but we have both the heritage and the opportunity to start afresh. And in the end, it is up to all of us who work at Hewlett Packard Enterprise to seize the opportunity and give that new logo its meaning. Seventy six years ago, two men started a company in a garage in California that would eventually change the world. The round HP symbol (which will be retained by HP Inc) became vested with all the strengths and values of customer service, product quality and workplace fulfilment that Bill Hewlett and Dave Packard cared so passionately about. When I joined HP in 1997, the HP Way was not just a Powerpoint slogan, it was something palpable. I don’t know if we will ever talk about the “Hewlett Packard Enterprise Way” in identical terms, but I think that only by bringing our passion and commitment to HPE will we make that new logo – which is both the green rectangular symbol and the company name underneath – mean something to our customers, as well as to ourselves. I can only speak for myself but I’m excited to be a Hewlett Packard Enterprise employee. Tomorrow belongs to the fast. And I am thrilled to be let loose!